On November 8, 2017, Becky A. Chenoweth, age 66, passed away peacefully at her Mesa home with her family by her side, following her battle with pancreatic cancer. Becky was born in Mayodan, North Carolina on October 28, 1951 as the daughter of Beverly (Kellar) MacAulay and Russell A. Timblin. Beverly currently lives in Mesa, Arizona and Russell lives in Hector, New York. Becky moved to Mesa, Arizona in 1996. 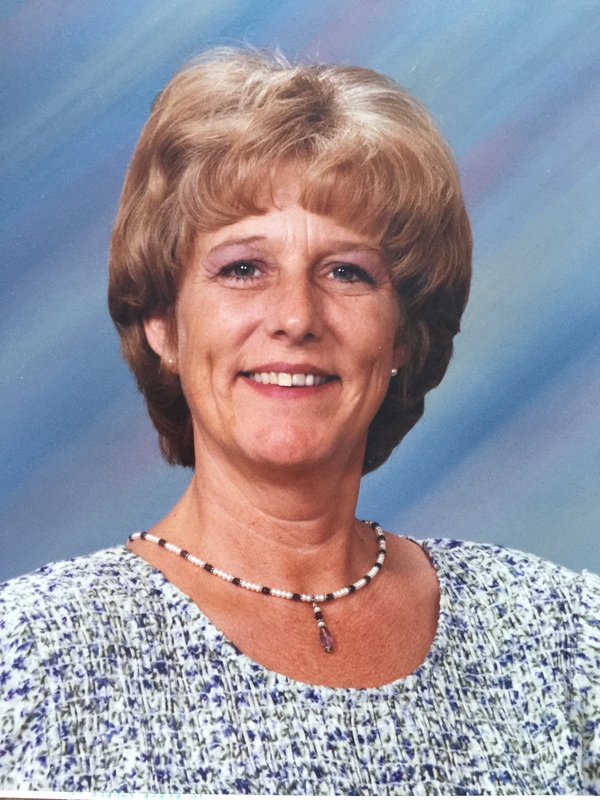 She became a long-time employee of the City of Mesa Court House where she retired, as a Judge Clerk. She took great pride in her work and was very fond of her coworkers. Becky is survived by her two daughters; Jenny (Hottel) Manos and Melissa Geer-Reitz; and her step son Ed Fallon; two sisters Beth (Timblin) Turnbaugh and Gloria (Timblin) Knight; two brothers Tom Timblin and Jon MacAulay; 14 grandchildren; 2 great grandchildren and several nephews and a niece. She was predeceased by her husband, Norm Chenoweth and her daughter, Angela Lynn Patrick. Becky enjoyed entertaining for her friends and family. The holidays especially Halloween and Christmas we special to her. Every year she would participate in these celebration with extravagant decorations and enthusiasm. She changed themes for her Christmas trees each year making it a year-round project. All services will be private. The family asks that in lieu of flowers, donations be made to Aegis Hospice. My deepest sympathy for your loss. May our Heavenly Father Jehovah strengthen you with His promise to swallow up death forever and soon end all our suffering. (Rev. 21:3-5: Isa. 25:8) May His promises also comfort you during this difficult time.